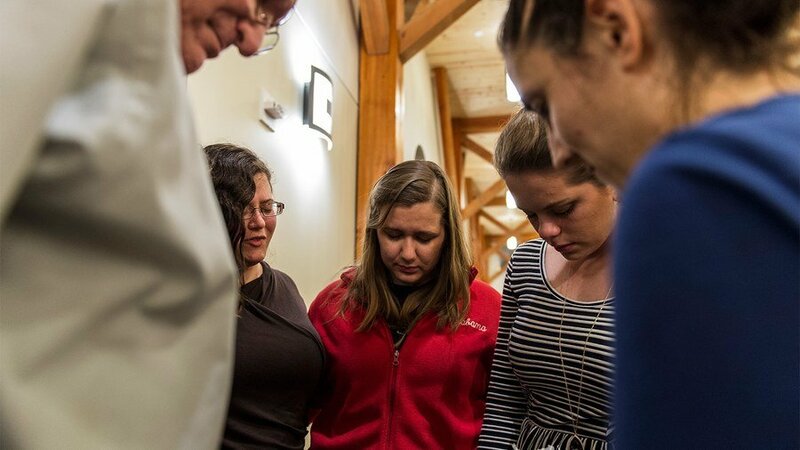 This month we have the privilege to pray for national workers as the winter season approaches. There are some misconceptions that Asia is only ever hot and humid. In reality, however, some regions experience extreme cold and intense winters with snow and ice. As we enter the chilly winter season here in the West, we have the opportunity to remember our brothers and sisters who are sharing the love of Jesus around campfires or are wrapping the homeless in warm blankets amidst freezing temperatures. Let us join our hearts together as we bring these various requests before the Lord. Have you ever stepped outside and felt the icy wind cut through your thick, warm sweater? If so, you most likely rushed back inside your home to grab your thick winter coat and returned to the outdoors walking briskly to your heated car. Winter may be unpleasant to some, but you most likely have enough warm clothing to get you through even the harshest of weather. Many of our brothers and sisters in Asia do not have this comfort and ease at their disposal. Some layer all the warm clothes and scarves they can find in order to trek through snowy mountains mountains to make visits to the members in their congregation. Others shiver as they share about the love of Christ with villagers huddled around fires. Please pray that our brothers and sisters will be provided enough warm clothing to be able to continue the ministry God has called them to do. 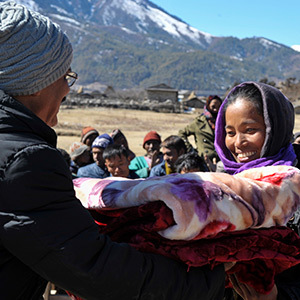 Through the support of men and women around the world, GFA-supported workers are able to distribute winter clothing to those who are too poor to purchase thick blankets and winter attire for the frigid seasons. Please pray that through these gifts, villagers will know with all their hearts that Jesus loves them. Please pray for believers who receive these gifts, that they will understand the love of Jesus in deeper ways. Please pray these gifts will not only impact lives but also bless the hearts of recipients for many years to come. For many villagers and missionaries alike, it would be financially impossible to replace warm clothing each winter. Please pray that these winter items will last for years to come. Pray that these gifts will miraculously never wear out. Pray that God will continue to build faith as He provides for His children who faithfully serve Him and for the poor and needy. 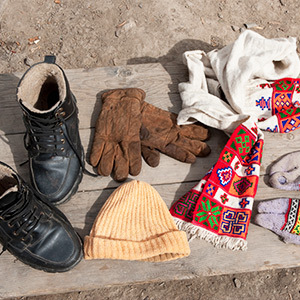 Even after missionaries receive warm clothing, they need to stay healthy in cold conditions. 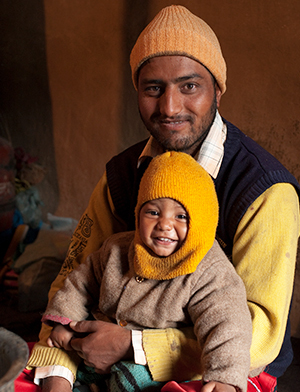 Ask God to enable these brothers and sisters with strong bodies even in the cold. 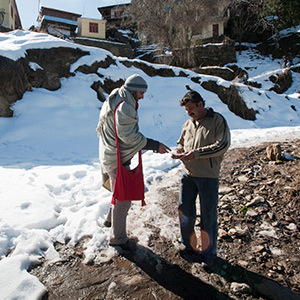 Please pray that the love of God will keep them warm and strong as they trudge through mountains and snow. Please pray that God will establish their steps and provide warmth for them when they need it most. Pray that through the winter months, many hearts will be amazed by what God can do through His servants. God can provide for His children in such miraculous ways. It is important for GFA-supported pastors and national missionaries to be able to provide for their family members, and GFA-supported pastors and leaders want to supply their workers with their daily and seasonal needs, to the best of their ability. Please ask the Lord to provide for national missionaries and their family members this winter. 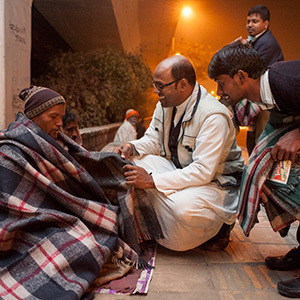 Ask the Lord to keep them warm and safe from cold weather sicknesses. Pray for the Lord's covering and blessing.